We are deeply sorry that the picture was taken, and we also regret the actual print. Therefore, we have not only removed the image from our channels, but also the garment from our product offering globally. Relate this issue and the repercussions to similar content published in the past. 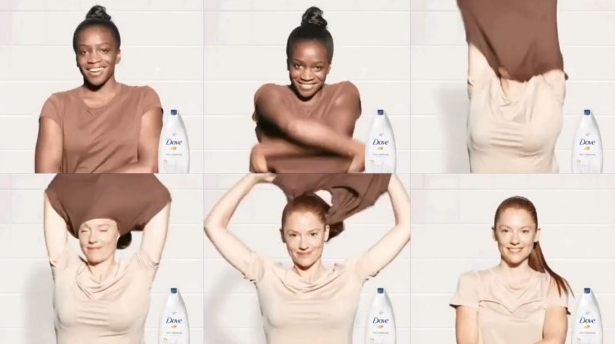 Last year, Dove received extensive backlash after sharing an ad showing a black woman turning white after taking off her brown sweatshirt. A Dove soap bottle sits next to the woman. Or consider this controversial laundry detergent ad published in China. It shows a Chinese woman stuffing a physically dirty black man into a washing machine while putting a detergent packet in his mouth. He then comes out a few moments later. But this time he isn't black, he is a sparkly-clean Chinese man. This next one is unrelated to race, but again raises concern regarding publishing and taking sensitive photos. 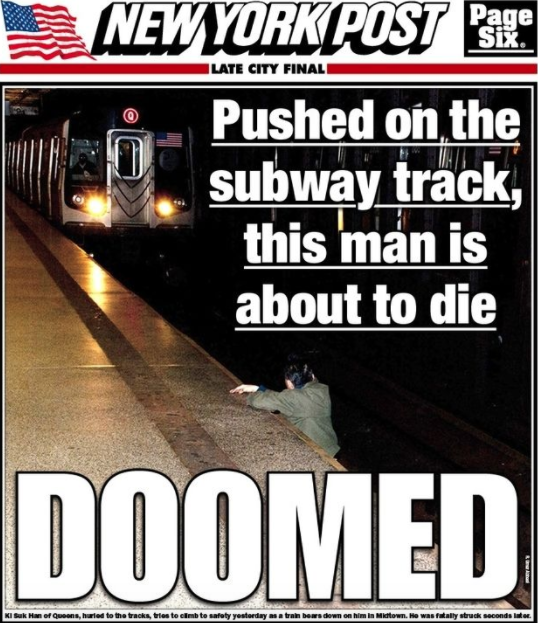 In December 2012, the New York Post's cover photo showed a man standing on subway tracks, with a train unbearably close. Beneath the man, large white text screams: "DOOMED." 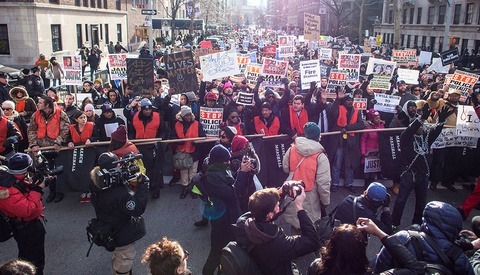 The Post faced heavy criticism for publishing the photo. The photographer, freelancer R. Umar Abbasi, also received criticism for taking the photo in the first place. He was questioned as to why he didn't help the man about to die. 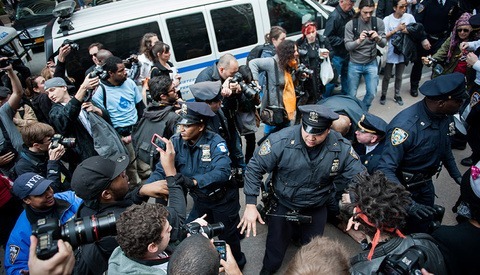 The National Press Photographers' Code of Ethics states: “While photographing subjects do not intentionally contribute to, alter, or seek to alter or influence events.” Perhaps Abassi was following his moral obligation as a journalist, and this is why he didn't help the man on the train tracks. Consider South African photojournalist's "Struggling Girl" image, for example. 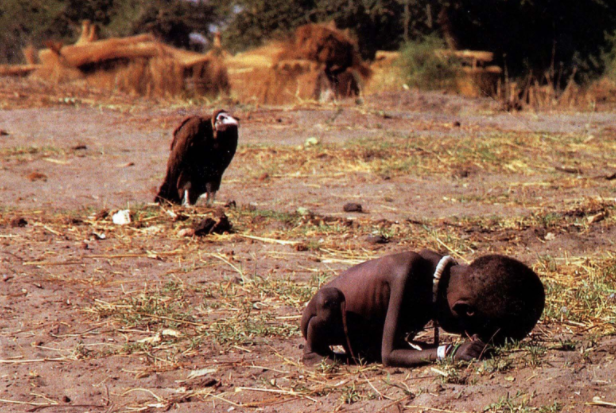 In 1993, Kevin Carter was photographing the famine that struck Sudan. He witnessed a girl resting, and watched as a vulture landed behind her. He waited 20 minutes for the bird to get closer to the girl in order to take the best image possible. He had yet to realize that he captured one of the most "controversial photographs in the history of photojournalism." Little did viewers know that immediately after clicking the shutter, Carter chased the vulture away. But he didn't help the girl. Like the vulture, he left the scene, too. However, Carter was a photojournalist in a time when it was common practice to not touch famine victims for fear of spreading disease. Still, could he have helped her in any other way? Carter obstructed the real-life event only after he took the image. Apparently, Abbasi attempted to help the man on the train tracks by firing off his flash to warn the operator. Obviously this didn't help. I could somewhat understand if Abbasi, in the heat of the moment, thought that he was simply capturing unobstructed real-life events, as a photojournalist ultimately should. But in the end, in this case, I truly believe Abbasi's moral obligation as a human to help other humans, outweighed his journalistic obligation of capturing the moment. Conduct oneself in a professional manner and represent a client’s best interests within the limits of one’s professional responsibilities. Think proactively, as a student of psychology, sociology, politics, and art to develop a unique vision and presentation. Each member and participant shall agree to use the highest levels of professionalism, honesty, and integrity in all relationships with colleagues, clients, and the general public. Being a world citizen (hopefully) correlates to at least some understanding of global history, and understanding that race is a sensitive topic in any country. Being a human being (hopefully) correlates to the desire to help others, rather then watch them perish right in front of one's eyes. On top of being human, all members related to the publication of the controversial content discussed above work in the photography or design industry. Or at least have a strong connection to it. Why didn't they think twice about the repercussions tied to their decision to publish the content. Did they not have viewers' interpretations in mind? 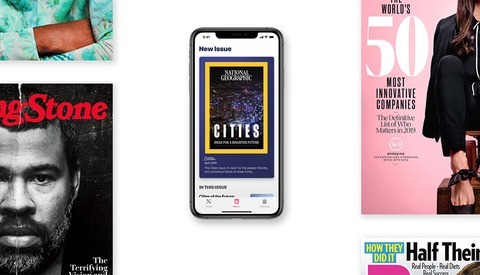 One common theme threads all of these cases together: at some point during the process of sparking the idea, photographing, postproduction, and publishing the photo, video, or ad, no one seemed to think twice about how the published content would be interpreted by viewers. If someone did, they didn't bother voicing their opinion, or didn't voice it loud enough. Regardless, the industry has made too many of these mistakes in the past and being oversensitive to publishing sensitive content is way over due. A lack of humanity. Code be damned. A lack of humanity? You don't think that's a tad extreme? Not in the case of the Subway or the Girl. Screw the code, help the human. As for the H&M image, well that's just either overt racism, or a complete lack of awareness. That image must surely have been seen by a number of people and not one thought "perhaps we shouldn't use this shot"? My guess is that it was more stupid than deliberate. Or at least I would hope it was. Totally agree. I thought his comment was referring to the H&M image. Bad idea but, yeah, stupidity. I did mean the bottom photos yes. Got to be honest I don't live in America. Out of that culture it wouldn't even have occurred to me to associate the word monkey with back people. It's not the 1950s. Shouldn't we actually be past that. Is this really an issue or just another social media storm in a teacup. Racism is still in high abundance here, I'm sad to say. We should be past it, but we aren't. That's BS and you know it. White privilege is alive and well here. You know damn well if the Bundy's were black their asses would be in prison instead of walking free. That's just one tiny example of the problem. someone should be looking for a new job. how did this ever make it to print ? I don't know how is the situation in the States but to me it's way worse the people who saw this picture and thought about racism (just because the little beautiful baby is black) then who made and published the picture and the H&M campain! I can understand your sentiment; I personally wouldn't have thought about it this way right away. I honestly would've taken the picture and thought nothing of it. But I think it's totally reasonable to think about racism when seeing this image considering that the term "monkey" has been widely used to describe blacks (with a racist undertone) in the past. The US has plenty of hate speech, and monkey is a popular one. The term was used regularly by bigots who used it against our last President and even against his wife, the First Lady. Sorry about that. I didn't know all these things. Where i leave if i translate in my language what's written in the poulover we use it to call the little children in a sweet way. Hope you know what i mean. I would have never made that connection but I see your point. My wife is Japanese and had always heard Americans refer to them as "Yellow Monkeys." She was surprised when I told her, I'd never heard that before. Now we tease each other about it. She's "Yellow Monkey" and I'm "White Monkey". We're obviously not denigrating each other. I wonder how we get to that point in society!? I'm not sure accusing everyone of racism is the way. I think it's OK that you're doing that with each other because for you and your wife, this is an inside joke of sorts. But imagine walking up to a Japanese person in the street, someone whom you have no connection with, and calling them a "Yellow Monkey" ... I'm not sure we'll ever get to a point in society where that is acceptable, because it simply isn't nice. 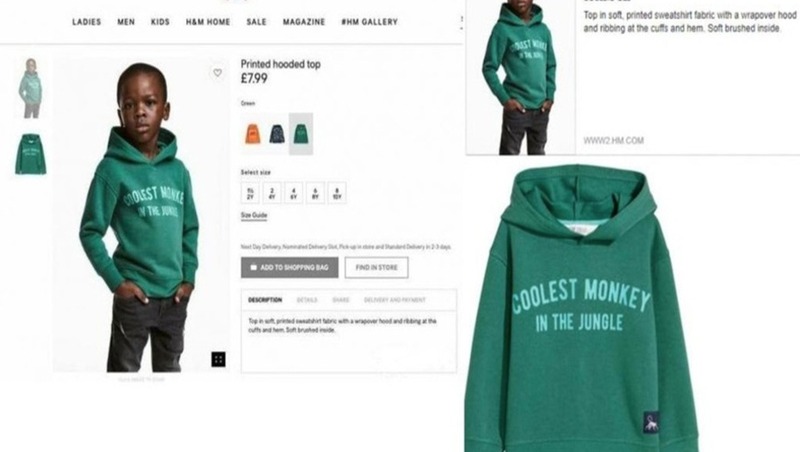 I think that more than anything, people are upset that the company wasn't sensitive to the idea that their portrayal of a black kid in a sweatshirt with the text "coolest monkey in the jungle," might have been seen as a racist remark. Not that the company itself is racist. There's a difference between calling someone a name and having a reference to something that could be a seen as an insult on a shirt. The problem, apparently, is having a black boy wearing the shirt. I wonder, but can't know, what the response would have been if a boy from any other ethnic group had been wearing the shirt in the ad. Could go either way. I agree with Alistair, though, that it was just a stupid oversight. They apologized and took steps to correct it after they were made aware. I think everyone agrees it was a gaffe. The question is, was it negligence or did they just not think about it? I agree. Would be interesting to know but doubt we ever will. But monkey is a longstanding slur against black people, so what makes this so egregious is specifically that the child is black. If the child was white, there would be no connection to a racial slur against whites. Sure, some people use it that way but not everyone does. So, do we become prisoners of those people or ignore their racism, making "monkey" a pet name for all children, not just white ones? In my experience, the best way to defeat these kinds of people is to ignore them. I don't know. I just think, we can't be brothers and sisters if we're constantly "walking on eggshells." But what if "those kinds of people" are black. And specifically they feel objectified by it. Do we ignore them and their feelings? I have no use for people who unreasonably feel sorry for themselves. Nobody gets a pass. Personally, I do not get it. People are over sensitive these days. So what is wrong? The slogan? Coolest monkey in the jungle. I really see no difference vs other silly slogans. Should we rename the animal then? While we're at it, someone should start a boycott to rename Cracker Barrel. That name is offensive to "poor white trash" people (like me) that grew up hearing that pejorative term. I think we've all been called terrible names at some point. Do you try to do away with the word because you've allowed it to define you, or do you step up and define yourself? Very good point! I totally understand that. It's not so much the word, but the context in which it was used considering black people have been called monkey before. Imagine a black-owned company letting a white kid wearing the same shirt that said the coolest cracker in the pack? I'm sure a lot of people would feel offended too. You don't have to rename the animal. But there's absolutely no need to call or depict a black child as a monkey. This boy isn't a monkey; he's a human being. Sounds like you're really comfortable using racist words.